Our top best sellers, never out of fashion, and always in demand. How many shades have you got? 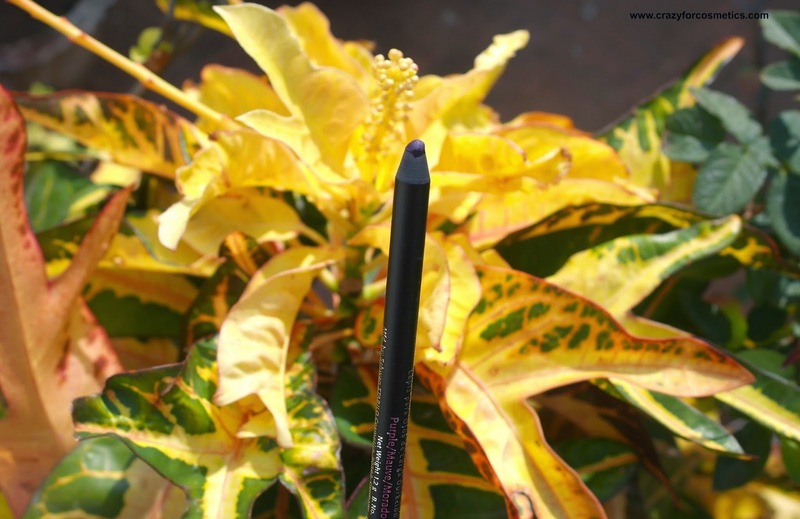 Remember to use with FACES dual eye-pencil sharpener, for best results. Why do I think it is one of the best investment I made recently ? 1 : The Faces Canada eye pencil is not a retractable one but the one that needs to be sharpened. 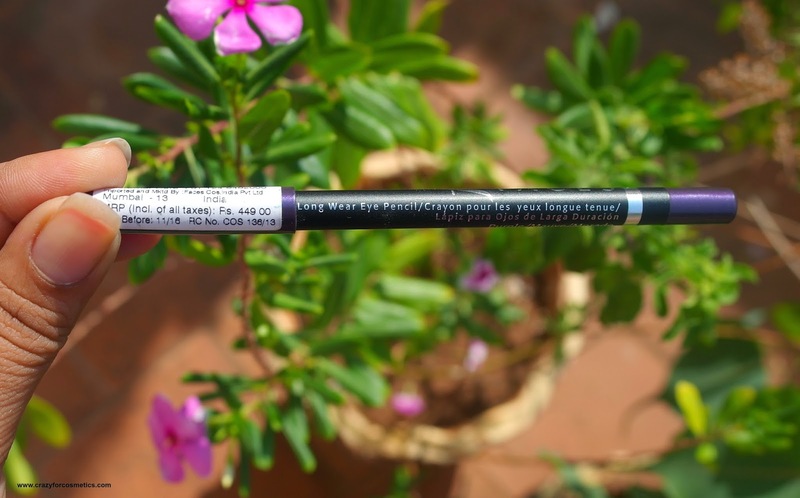 Though I am not a big fan of this type of packaging, I recently read somewhere that the eye pencil which requires sharpening is better for the eyes since it eliminates the bacteria at the tip while being sharpened. 2 : The Faces Canada eye pencil in purple is one of the most prettiest shade that I have come across. 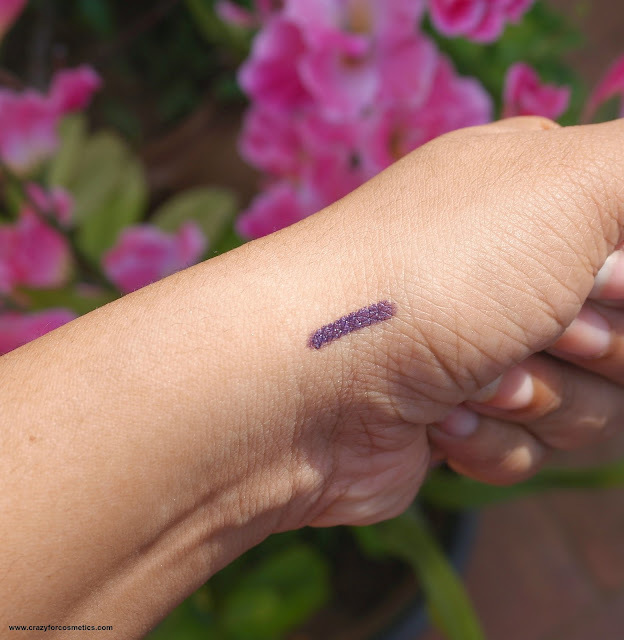 The shade suits the Indian skintone so well and from a distance it does appear like black but when seen from close it is a beautiful rich brinjal purple shade.It applies uniformly and 2 strokes can give a rich purple shade, because of the good pigmentation it has.It sets as a slightly glossy (not shimmery) finish which can be seen only in the sunlight and it appears matte under normal lighting. 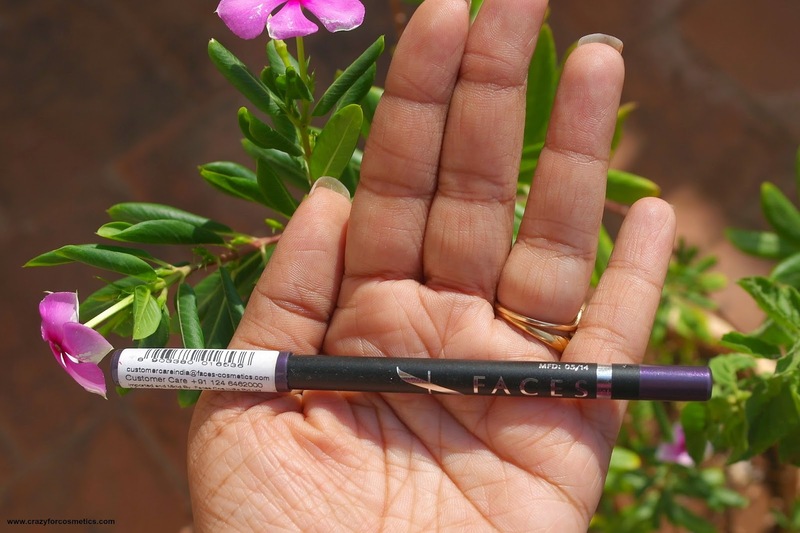 3 : The formula of the Faces Canada eye pencil in purple is just brilliant and it glides like a feather on top of the eyelids without much effort.Totally in love with the creamy formula which makes the application so much simpler and easier and it takes about half a minute to finish both the eyes. 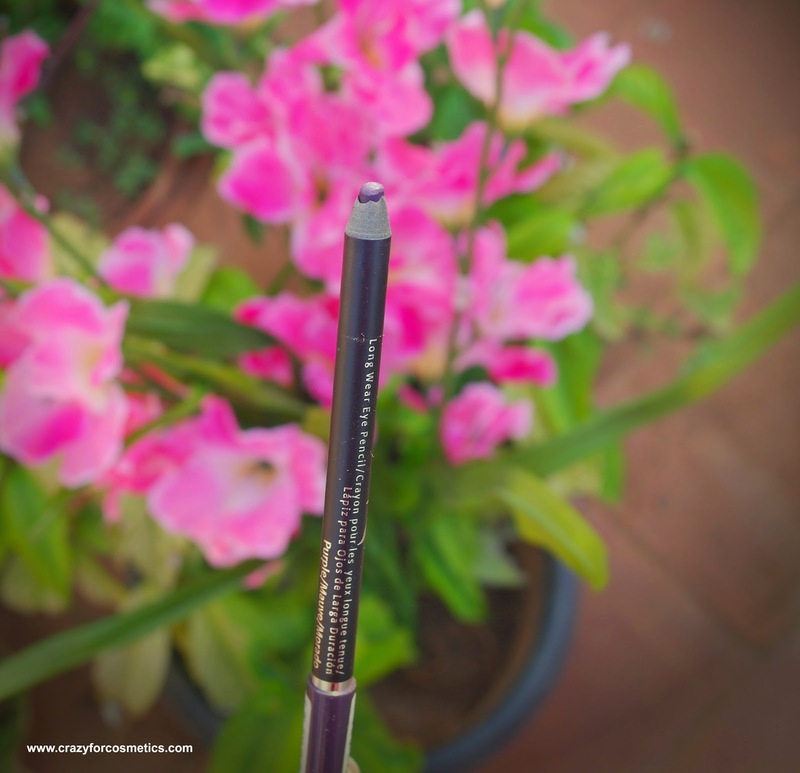 4 : The staying power is an impressive 7 hours without any smudging and after that it slightly smudges onto my oily crease area and I think it is absolutely spot on considering the creamy formula. 5 : The Faces Canada eye pencil does not cause any kind of irritation to the eyes and is safe to use ,though I restrict the usage to the upper eyelids since my eyes are very sensitive and it starts watering immediately. 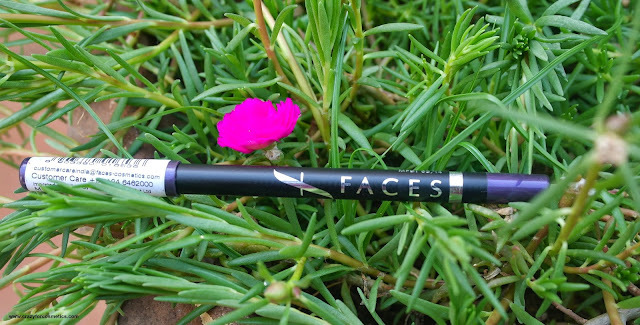 7 : Averagely priced when compared to other brands considering the super smooth creamy formula and the smudge free 7 hour staying power. 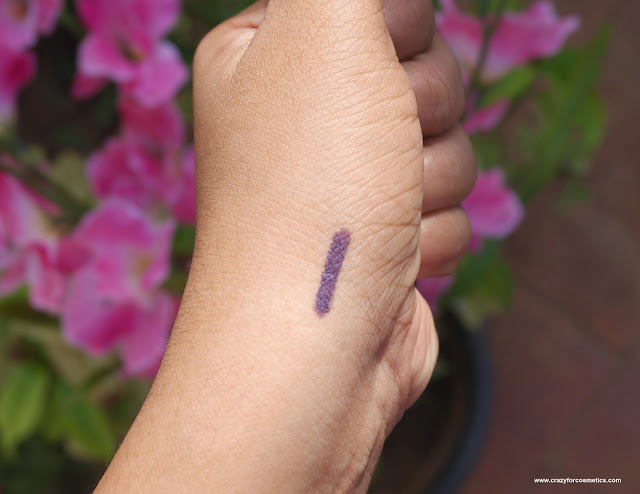 I am sure if you have non oily eyelids it will stay even longer, although ideally one should remove makeup as soon as its not needed(once you get back home). 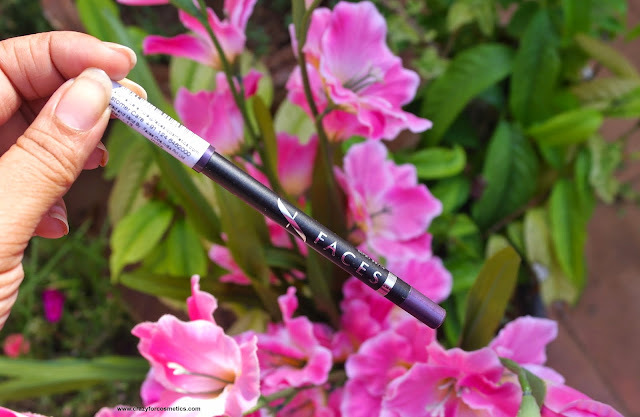 1 : Due to the extremely creamy formula, the Faces Canada eye pencil gets blunt quickly and one needs to sharpen it very very often(maybe even every day) if used regularly. So it would get over really fast. Would I recommend The Faces Canada Eye Pencil to you ? A definite YES!! Please go grab it , if possible pick more shades. 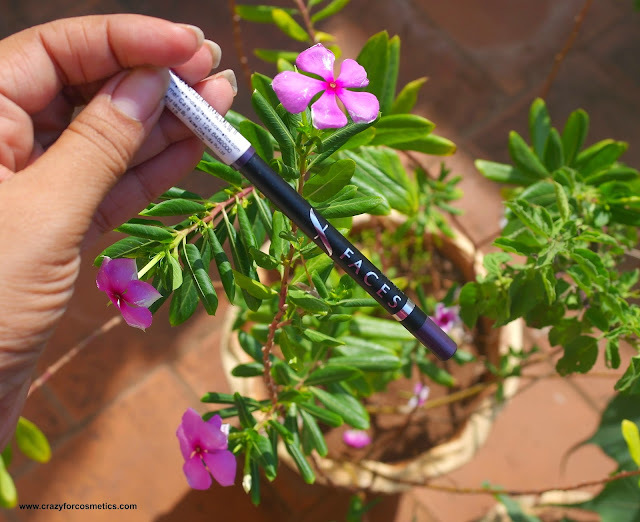 Will I repurchase The Faces Canada Eye Pencil ? I will for sure because I truly love it and I plan to grab a few more shades soon! !